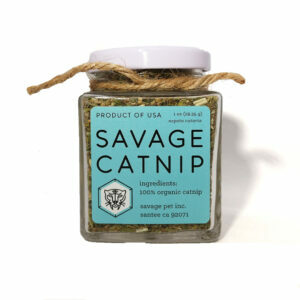 Our sustainably sourced Savage Cat Toys are designed to get your cat in motion. The natural scents retained on the ends engage your cat’s instincts and the steel leader wire can withstand even the most savage cats. Our little monster bobtail kitten Kabuki loves your skunk tail toy! It’s really helped him develop new powers and evolve into a more capable micro-beast! Thank you for helping us reach the next level! I bought the raccoon tail toy at the San Diego Farmer’s Market and my cat LOVES this toy! It’s well made and durable, too. I bought one at a farmers market in San Diego. 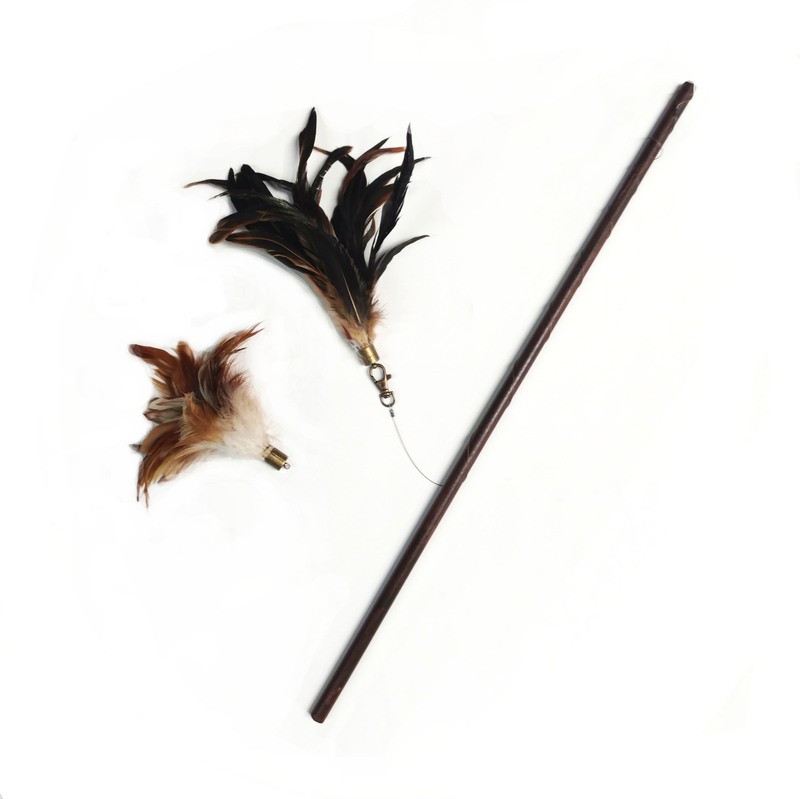 The wand is very well made and sturdy. I got so many plastic wand handles snapped piece by piece after a few plays. The boy cats are so rough with toys! however, because the wand’s parts aren’t glued together like others, it lasted. Unfortunately, one of my cats is a little bit too strong. The steel wire snapped (imagine that!). I called customer service inquiring about sending it back for repair because I was told that repair would be free of charge. To my delight, they offered to replace the handle for free instead! How great is that?!! I emailed them on 12/16 and today the handle/wand arrived. Needless to say I am very satisfied with the product as well as the company’s customer support. Keep up the good work Savage! Thank you again for your help. I knew Dread would love our new Fox tail toy but I didn’t realize what a savage the Baby is too! This toy is way beyond my expectations – it’s SO well-made!